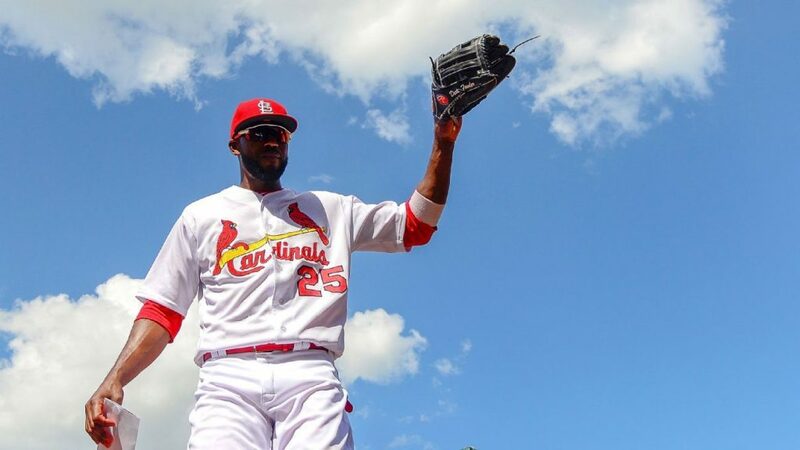 Home/Analysis/What Can We (Reasonably) Expect From Dexter Fowler in 2019? To start, this article shouldn’t even need writing. The Cardinals should be engaging with Bryce Harper to be the right fielder for the next handful of years in St. Louis. But they aren’t, and there’s no excuse. That’s the life of a Cardinals fan, so here we are. Harper isn’t what we are here to talk about. The topic is Fowler, Dexter Fowler. His story is well documented from last season. He posted an abysmal .576 OPS, which was good enough to be T-276th out of 278 players with at least 300 PAs. His fielding deteriorated immensely last year, even after the move to right field from center. This lead to a magnificent -1.2 fWAR on the season, good for T-1374th out of 1379 hitters to take an at-bat last season. Despite all of this, he is still slotted to be the starting right fielder heading into 2019. Despite very few poor free agent signings in the Mozeliak era, a Mo-lead front office hasn’t been one to bite the bullet on bad free agent signings, especially recently. Both Brett Cecil (4 years/$31.5 million, through 2020) and Luke Gregerson (2 years/$11 million, through 2019) are set to open the season in the major league bullpen (if healthy) despite horrendous years from both players, posting ERAs of 6.89 and 7.11, respectively. 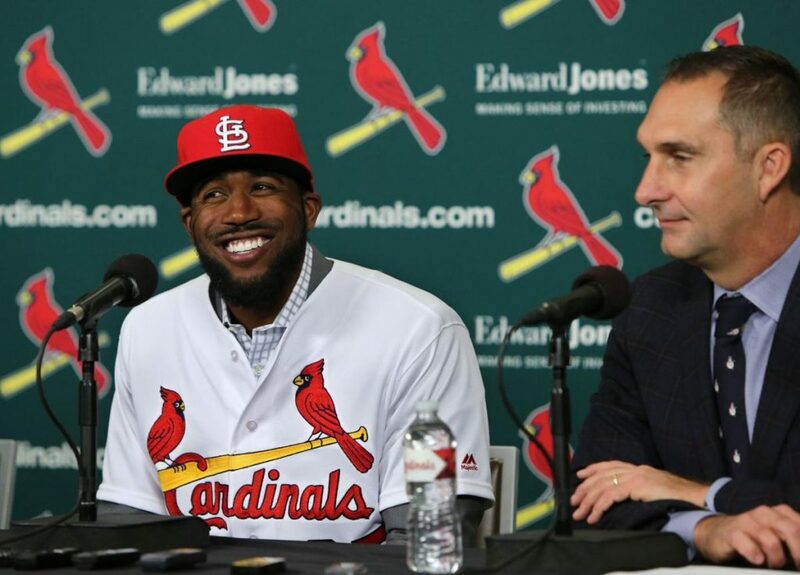 Dexter Fowler signed a 5 year, $82.5 million prior to 2017, going through the 2021 season. Entering the open market as a 31 year old free agent, 5 years seemed ambitious for Fowler but after missing the playoffs for the first time since 2010, the Cardinals needed to do something to improve heading into 2017. To add fuel to the proverbial fire, not only did the Cubs steal John Lackey and Jason Heyward in the offseason prior from the Cardinals, they also won their first World Series in 100 years with Fowler as their starting center fielder and catalyst atop the lineup. Recency bias has come into play here, big time. Many fans are citing his woeful 2018 season as reason enough, but they are forgetting just how good he was in 2017. In his first year in the Lou, he posted a very good .264/.363/.488 line with a career high 18 HRs and a 121 wRC+. Plug 2017 Fowler into the 2nd spot of this Cardinals lineup and you have an elite 1-2-3-4 with Carpenter, Goldschmidt and Ozuna. Fowler’s best attribute as a hitter has always been his eye. Fowler’s career O-Swing% of 22.3% would’ve been T-12th best in all of baseball last season. It did spike last year to a career high 25.3%, but all of aspects of his hitting faltered in 2018. As long as he can get on base around his career .360 OBP, he will return to being an asset in the lineup. His dreadfully low .210 BABIP last season also indicates some bad luck on his batted balls. When he produced very good numbers in 2017, he only had a .305 BABIP, well below his career average of .330. His hard hit % did drop to 33.9% in 2018, but that is still better than his career average of 30.7%. He hit the ball hard last year, he just ran into a lot of bad luck. It would be beyond foolish to assume 2019 Fowler will hit at the level he did in 2017. Not to go full Moneyball, but if Fowler can get on base, he will be a valuable player. It just goes to show that not long ago, he more than earned his $16.5 million salary. 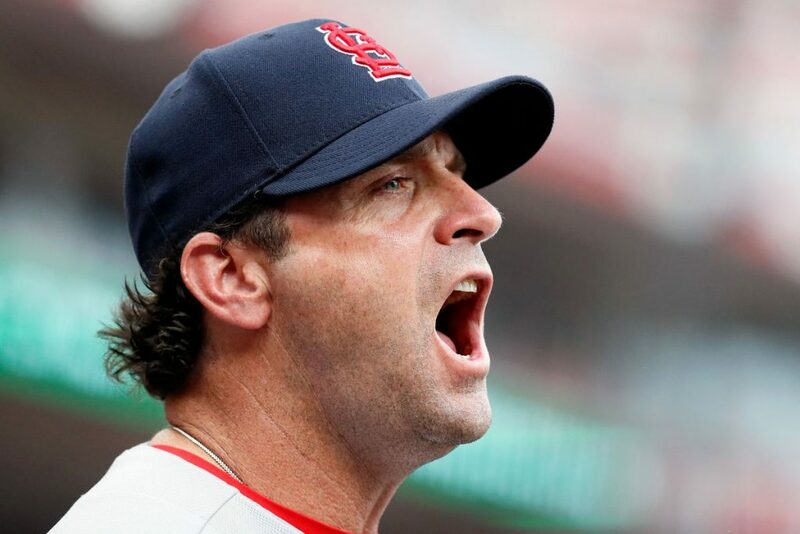 Freezing a player out of the clubhouse like that is never the right move as a manager, especially if he is a fun and loving personality like Fowler. There was clearly no respect between them, and having Matheny gone will only improve morale for Fowler with a clean slate. The Steamer projects Fowler to put up a .240/.341/.390 line with 9 HRs, good for a 103 wRC+. While I don’t think that is out of the realm of possibility, I think they are a little down on him, especially power wise. In my unprofessional opinion, I could see a line closer to .250/.340/.425 with 13 HRs. Fowler set his career high in HRs in 2017, so I don’t see him slugging under .400 unless he has another atrocious season. His fielding will continue to be very bad, there is no way to reverse natural aging. Due to that, I don’t see him reaching his 2.5 fWAR from 2017 again, but his offensive value could still be well above average, closer to a 1.0-1.5 fWAR mark. Fowler also has Jose Martinez and Tyler O’Neill hot on his heels for playing time in right. With Bader and Ozuna entrenched in the other 2 outfield spots, Fowler is the only vulnerable position. He will need to perform right out of the gate if he wants to stay the right fielder of the St. Louis Cardinals. Fans have been lot lower on Fowler than they should be, but I expect a bounce back season from Dex.